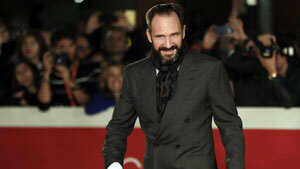 I am instinctively drawn to our everyday human stories,” says English actor and director Ralph Fiennes. A veteran of the stage and screen, he is famous for his Oscar-nominated roles in Schindler’s List (1993) and The English Patient (1996), as well as his work as Lord Voldemort in The Harry Potter films, but the 55-year-old feels that acting never gets easy. In an interview, he speaks to us from Italy about Satyajit Ray’s genius, dark roles, and digital content. Your role as a Nazi officer in Schindler’s List had a huge impact on your career. How did it affect you? I was at the receiving end of attention and curiosity that I hadn’t experienced before. The film was nominated for a number of Oscars, which isn’t on your mind when you sign up. It was a successful film, critically and commercially, I believe. The media focus was a big change in my life. Such attention can be difficult. There is a curiosity about you that you often don’t want. Today, streaming media and TV series have better content than mainstream cinema. What do you think about the shift? It’s a sad thing. Yes, there are good quality television series out there, but I am not a fan of never-ending stories. I feel that a story should have a coherent arc. I can’t understand a series that goes on just because it’s successful. I can feel the writer straining to maintain a successful series. They have to distort the narrative to keep it going. I like going to the cinema, sitting in a room with people and feeling an experience with them. My taste and inclination is for films, or maybe, a mini-series. You’ve visited India as an ambassador for UNICEF. Tell us about your time in the country? I’ve been to Maharashtra and Madhya Pradesh. I had a great time in Madhya Pradesh and visited many fortresses and castles, which was a special experience. I even went to Khajuraho and loved it. I’d love to visit the southern parts of India. Have you watched Indian films? I am a big fan of Satyajit Ray. I feel he’s a genius. The humanity of his films stands high, alongside Japanese filmmaker (Yasujiro) Ozu, as well as (Russian filmmaker Andrei) Tarkovsky. I think they are the great masters of film, especially the second half of the 20th century. I don’t think we see such quality now. That was the great period of filmmaking. Is acting an easier craft now? Acting never gets easy.Technical experience helps, but the challenges remain the same. You’re always looking for some aspect of human truth in your performance. Acting is kind of a mystery, as there’s no knowing how [to do it right]. You hope to work with like-minded people and make a film you believe in, even if some elements around the actor are contradicting or in opposition. How was the experience of shooting for the Harry Potter movies? It was a world unlike any other. It was a big movie made on a big scale and all the actors were well looked after. Harry Potter movies are fantasy films and they need strong special effects. So in the end, acting plays a tiny part in the entire film. It’s a different kind of filmmaking as compared to films like Spider (2002) or The Constant Gardener (2005). I’m instinctively drawn to films that are based our everyday human stories. You were nominated for the Oscars and won many Golden Globe awards, too. What do awards mean to you today? It is always a good feeling when you are honoured with an award, but awards can’t be the only motivation. In the end, they have a very little meaning in the industry. Award ceremonies are a celebration and there is a place for it. The kind of madness that takes over people when they are thinking about awards is not healthy and not valid to me. But I am happy that one or two awards have been given to me. Which of your films have been the closest to your heart? I have to say The Constant Gardener. I loved the experience of making the film and the way Fernando (Meirelles; director) shot it. I was close to the character. The producer, Simon Channing Williams, is a wonderful man. We shot most of the film in Kenya and I loved the way it was shot (Sony Pix will pay a tribute to Ralph Fiennes for completing 25 years as an actor). You’ve shot at numerous locations around the world. Which place was the most fun and challenging to shoot in? I loved shooting in Tunisia for The English Patient. The desert location was challenging yet beautiful. I like shooting at remote places. I loved Northern Kenya, where we shot the last sequences of The Constant Gardener. You have directed movies as well. What prompted that decision? I wanted to make a film adaptation of Shakespeare’s tragedy, Coriolanus. I wanted to play the part once again on film, as I felt that the role had the capability to speak to the modern audience, too. It talks about the crisis of leadership and the crisis of democracy, which is contemporary and is still as much of an issue as it was thousands of years ago in Rome.